Recently, several situations have reminded of the importance to “walk a mile in another man’s shoes” and just because I don’t have a particular experience or someone’s experience/worldview/opinion differs from mine, I can’t dismiss the person or their path because it isn’t my story. How much more beautiful is a church full of diversity, in backgrounds and cultures? It’s a challenge to bridge cultures, even among the Body of Christ; however, a challenge worth every ounce of energy we expend fighting for unity, loving in spite of differences by God’s grace. On my last international flight, I sat down and a young teen sat beside me. He clenched a white folder in his hands, I could tell it was immigration paperwork. I smiled and said “hi”, his bright white smile in contrast to his gorgeous dark skin was reward enough. We tried to chat, we didn’t have a common language but he had about 20 English words. Putting the pieces of his paperwork together and his few words, I realized he was immigrating from Sudan to Iowa. He watched me open my headphones, plug them in and start a movie. I knew he didn’t know what to do but I wasn’t sure how to help without embarrassing him. After a few minutes of him longingly looking at my screen, I offered to help. We opened his headphones, plugged them in, put them on his ears and then I showed him how to use a touch screen. We were friends. When he was settled in, I felt a tap on my shoulder. In the row behind and across from me sat three men, all holding the same folders, not able to communicate with words, but holding up their headphones and smiling, hopefully. I laughed and we opened more headphones, plugged them in and started more screens. I settled in again. Another tap, this from the woman behind me, also sheepishly grinning as she held up her headphone packet. We opened the plastic, put them on her ears and got her set up for hours of movie watching bliss. Throughout the flight, my buddy and I smiled and tried to communicate. As a meal was served, I noticed he was staring at my food with great interest and my cutlery. Slowly, I pulled out the fork and spoon, making very exaggerated movements on how to use them. He shadowed. He fell asleep and at this point I was so endeared to him I wanted to take him home and teach him the ropes of his new life in America. I prayed for someone who loves Jesus in Iowa to take him under their wings. Through this short relationship, I was convicted that all I had to do to be helpful was to be willing, smiling, not afraid of someone different than me, and aware of another person’s point of view. I’ve been the foreigner, the one who sits in the crowded room, trying to catch how to do things from observing others. Working on teams with others of backgrounds different than myself, I am continually humbled at the variety of thoughts and solutions that can come out when we defer to each other in love. It takes work. Americans are seen internationally as being brash and over-speaking. If there is an American (to some extent Westerner in general) in the room, often someone from another culture (Eastern culture) will choose not to speak unless invited in and then waiting for the response without anyone interrupting. I repetitively am guilty of falling into this American pattern. What beauty can come when we stop to listen and esteem other’s ideas. As parents, we have countless opportunities to shape our children’s thoughts on the world, thoughts on others, thoughts on those different from us. Here are a few recent favorite stories to foster a child’s understanding of the world and relating to other’s in it. One of my favorites, “The Sneetches”, one of Dr. Seuss’s unsung heroes, to talk about how people label others for no good reason, it is a fun story that opens up tons of dialogue about prejudice and how groups of people treat others. It’s at Kohls right now as a $5 book! Anna Hibiscus was a gem! We plan on ordering the whole series. We bought the book through Usborne but they also have it on Amazon. Anna Hibiscus is a sweetheart living in Africa, “amazing Africa” and so sweetly the author weaves an “African” way of life with ease into a way a Western child could understand. In general, just adorable and it made Jon and I laugh. This books, “Best of All” is similar to “The Sneetches” while pointing to Eli, the Creator. The Christian perspective was welcomed but it does move a bit slow, worth it for the lesson! Our family has dialogued about this book many times since we’ve finished reading it. “The Hundred Dresses” had the girls and I in tears at the end and it has been such a great conversation opener to talk about bullying and what to do if we see other’s being bullied and are on the sidelines. In a more upfront book, specifically regarding physical differences in people-the lesson is a Sesame Street book, “We’re Different, We’re the Same.” Also, teaching a bit about other cultures, “People” by Peter Spier. What books can you add or thoughts do you have? Hey! It’s Christmas in, let me see, 6 days. Woah, talk about sneaking up on us. I’m quiet here as I feel much of what I have to say is redundant, my emotions, the transitions, etc. Brief Update: We are living at Amy’s parents house on a lake and appreciating the beauty each day we are there. Jon hopes to travel to Ethiopia in January, I will stay home with the kiddos. I am not a good pregnant woman. Sure, I definitely rejoice at the miracle God has created inside of me and marvel at each stage but I’ve had just about enough of this little one up in my ribs. We had a family road trip and I tried to keep my sighing to a minimum. :) The girls and I are plugging through school, most days joyfully, besides new math concepts, not a lot of joy there. Tiger sits up, says “MAM” when he is starting to get upset and when he is playful, “dadadadada”, enough for us all to about die of his cuteness. The other day as we were traveling and all a bit glum, Tiger started to babble. After about 30 seconds, J said, “I don’t feel so sad anymore” and we all agreed. This really deserves its own post, but if you have been reading since the beginning of the blog, you may recognize this family (well, maybe if the lighting was better ;)). 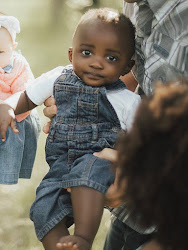 When Jon and I first traveled to Ethiopia to pick up the girls, to our bewilderment, we realized while we had researched every possible facet of adoptive parenting, we forgot to actually learn a thing about how to keep an infant alive and happy. The girls were very upset by the whole transition as well and as we were staying in a guesthouse with other families, two families heard the cries (of the kids, not ours, well, maybe ours) and came to our aid. 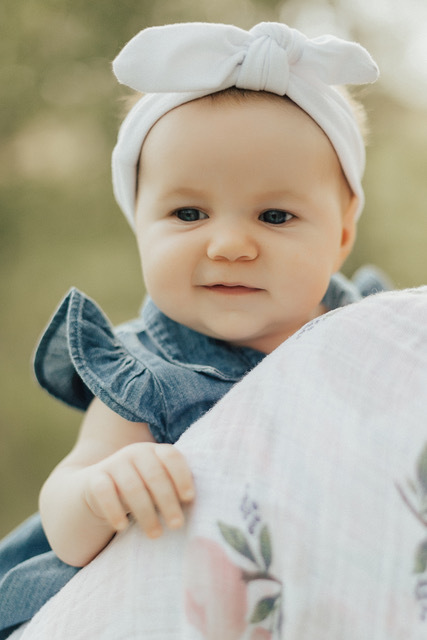 The Armstrongs had a set of twins at home and were bringing home another infant, who happened to be an incredibly happy baby, so they stepped in and restored sanity. Here are the three kiddos, lives forever intertwined, meeting again. I’ll have to get a picture of them together as babies on here. So cute. 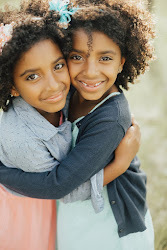 They were living in two different care centers together before our “Forever Family” days. So glad we were able to visit and share joy in new members of our family. And we are able to experience so many moments we’re accustomed to missing and it’s amazing. Baby line up at a family event in age order. And the SNOW. The girls haven’t let it rest and they are old enough they go to the bathroom before the snow clothes and stay out for so long I am worried they’ll freeze. And the ice is perfect and see-through, leading to many discussions about the cold world underneath. I watch from the windows. I am smart (or is it boring?) enough to remember how cold it is outside! It’s strange as it’s Ethiopia’s warm time, so glad to experience both. We wish you a Merry Christmas and so much love! I haven’t known how to express what is going on back in Ethiopia, here’s a write up the Crisis Management Team sent out, thanks Mark and Debbie for writing it. The country of Ethiopia has been heralded as a one of the shining stars of economic development in Africa, enabled by longterm stability. However, for the past year, there has been civil unrest that at times have resulted in bloodshed. The SIM Ethiopia team has been making hard decisions in the midst of this, taking seriously the dual responsibilities of safety of those in the SIM family, as well as the duties we have accepted as carriers of the eternal gospel. Several downcountry SIM stations have evacuated and have been unable to continue their ministries in the accustomed manner. The Ethiopian government has called a State of Emergency to deal with the crisis. Please pray for God’s people to rise up as peacemakers, for His people to be protected, and for vision and courage to see the ministry opportunities that arise from the situation. Pray too for the leadership of SIM Ethiopia and SIM International in making choices that allow gospel engagement without unnecessary risk. Pray too for peace, and for His righteousness to shine. He is still our good, good Father, and we are thankful for his watchful care for us. We also are thankful for our Ethiopian brothers and sisters, who exercised a nationwide three week fasting and prayer event two months ago, and again are calling for another week of it. Please pray with them and us during this time. So, here we are, trusting God has a beautiful plan, thankful to be here and not displaced in the capital, Addis Ababa, but with many thoughts for our friends and community in Ethiopia. I feel I haven’t quite gotten a handle on our new life yet (we’ve traveled, moved recently-all the travels and the move have been great). Thanks for patiently loving us, even when we don’t know which end is up. Jon continues work for SIM and is excited to be planning a conference in the early winter in our local area. We did it! Well, part of the way. We packed and cleaned our way out of the apartment where we have been living. Jon heads off for a conference so the kids and I will stay at my parents’ for a bit. In other news, there was a wedding in our family. A married a handsome groom (we are supposed to pretend the stuffed dog is the groom, I wouldn’t let them use Tiger, much to their chagrin). The bridesmaids waiting on the bride (Groom by the altar). The girls called Kristi in to officiate. We are going to miss these neighbors. A good time was had by all in attendance though Tiger and I just held down the porch swing. Thanks for your love, prayers and support! I’ve had a harder time than I expected getting into the swing of homeschool in the USA but I think we’ve got a good rhythm now. The girls have never schooled in the US, it’s just been a place for fun so it was also hard for them to find motivation to study. I manage to accomplish very little in my days but I am learning my small capacity and learning how to do life again in Indiana. sweet friends willing to drive far to meet our growing crew. friends who don’t care how long it has been since we’ve seen each other. and the doctor (oh my, between dentist and doctor appointments, it’s been crazy). and this little guys who has become part of our normal. The four of us just sit around and stare at him and giggle when he coos. Just look at this guy! Two months of sweetness and we don’t know how we ever lived without him. Can you believe this was him only two months ago? His birth mom just sent us this photo. During the last two months, we have been living in a furnished apartment, provided for us be people who we barely knew. They have been the best possible neighbors, showing us how beautiful the Body of Christ can be wherever we are and blessing us everyday. They’ve not only been the neighbors who just wave and say a polite “hello” but the kind of “let’s hang out and share life” kind of neighbors, the best kind if you ask me. Hey. We are here, in the USA and we are doing…well…we are doing. I want to say amazing and in many points, it’s true. Our family is enjoying this season of homeschool, Jon working for SIM USA, loving on Tiger baby, visiting family, spontaneous trip to reconnect with friends going back to Ethiopia, it’s been a sweet time but also a transitioning time where we are floundering a bit. For those of you who didn’t get a newsletter, through our team leader’s and director’s counsel, we are staying in the USA. Ethiopia has had significant political tension and are northern teammates are currently displaced in Addis Ababa. Jon and I knew we had to return to deliver French Fry, but we were all hoping for a few months in ET. Once again, this does change our plans and our hearts are full of desire to see our Awi community but we know the miles do not limit the effectiveness of prayers. God is orchestrating the situation and we pray our hearts can be faith-filled. We are loving the extra time with family, friends and church family. I don’t know how I feel actually, so many conflicting emotions. Tiger meets a friend (or maybe just parents who tell them they will be friends). The girls have become quite the event planners. They planned a series of “dates for any willing couple. Ah! Every time I see this picture, it makes me want to scream at how cute Tiger is! A beach in Wisconsin on a September day. 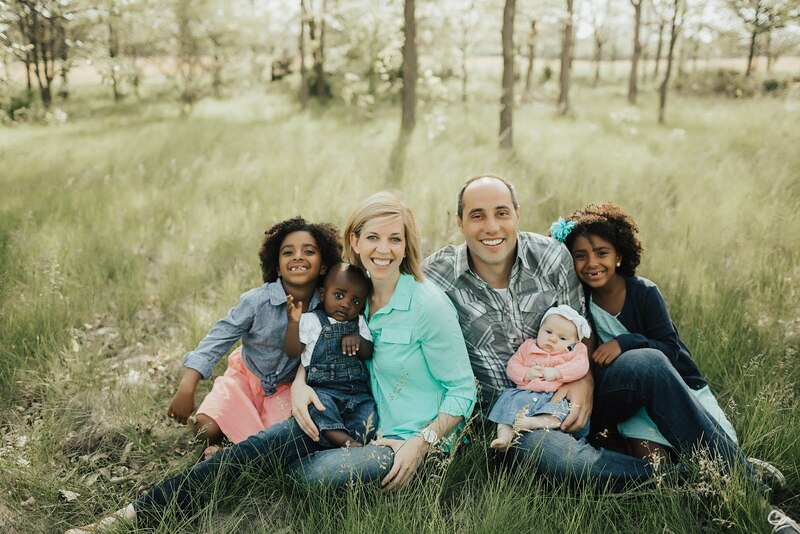 We are praying for the Floreks as they moved back to Ethiopia, yesterday, after a year in the USA. Thanks for your love and support. We feel it and are so thankful for each of you.